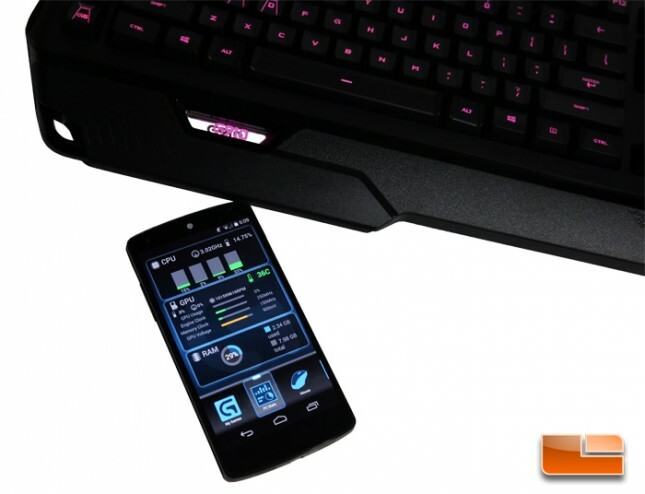 Some past Logitech keyboards have had integrated displays, most notably the G19 and G510. 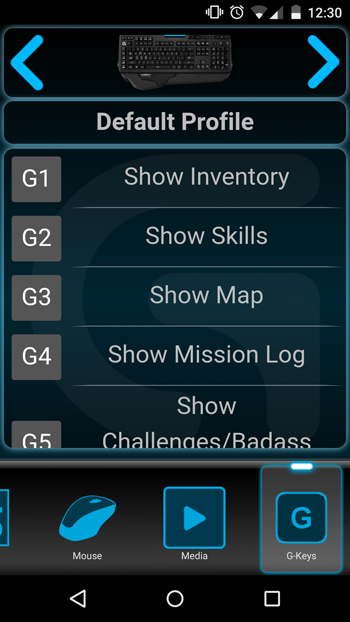 With the G910, Logitech has done away with the integrated display and instead, a tablet or smartphone running on Android or iOS can install the Arx Control app. 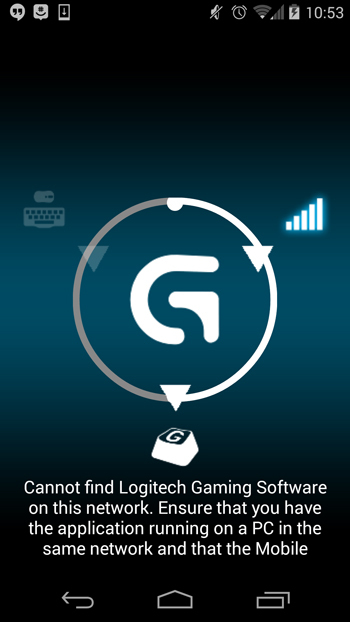 This app communicates with the Logitech Gaming Software over the local wi-fi network to show system stats, allow adjustments to the DPI of Logitech Gaming mice, and some other remote control functions. 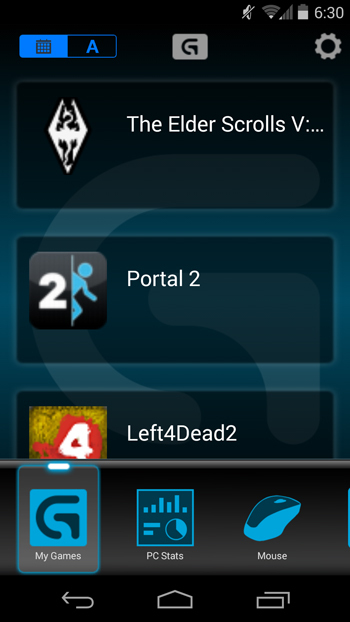 Arx Control can show your installed games and even allow you to remotely launch a game. A favorite feature for hardware enthusiasts is real-time hardware monitoring. 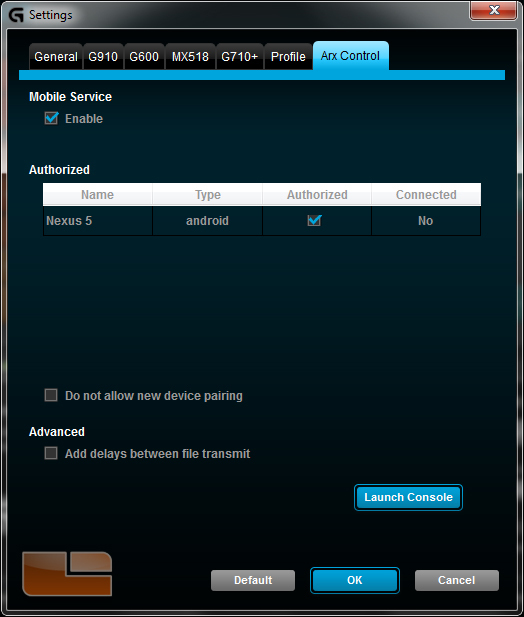 At the top, we can see the processor usage of the quad-core processor in the system. Below that, we see information relating to the GPU including its temperature, fan speed which apparently doesn’t work with this video card, GPU usage, GPU clock, memory clock, and GPU voltage. 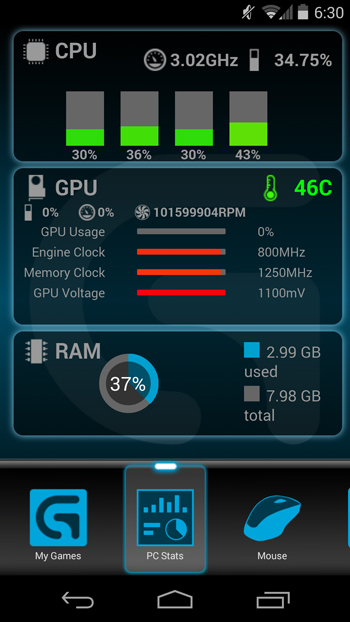 Lastly, below the GPU information is the system RAM usage which displays used RAM as a percentage and as a raw amount. 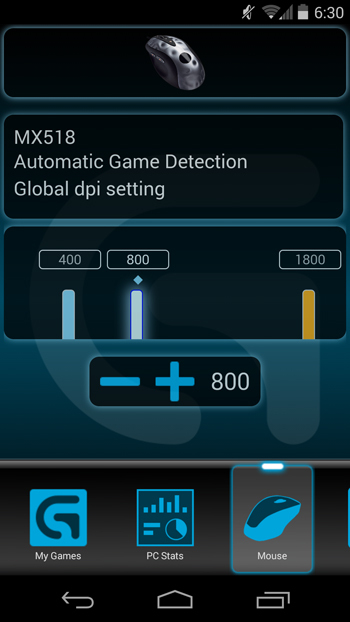 Logitech Gaming mice can have their DPI adjusted from Arx Control. Here, we see that a DPI profile can be selected and then raised or lowered just below that. 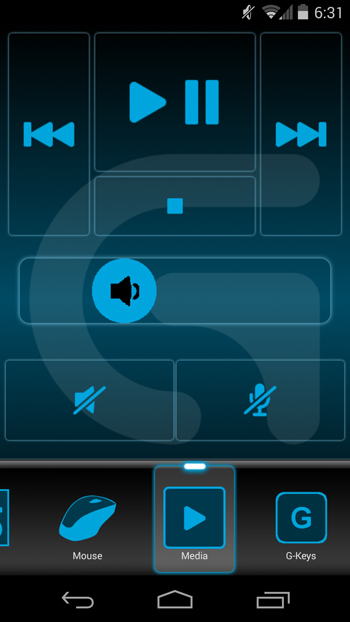 Arx Control can also act as a media remote control, granting control over system volume and playback control for compatible media players. If you forgot what the G-Keys on your Logitech gaming keyboard or mouse were supposed to do, Arx Control can remind you. 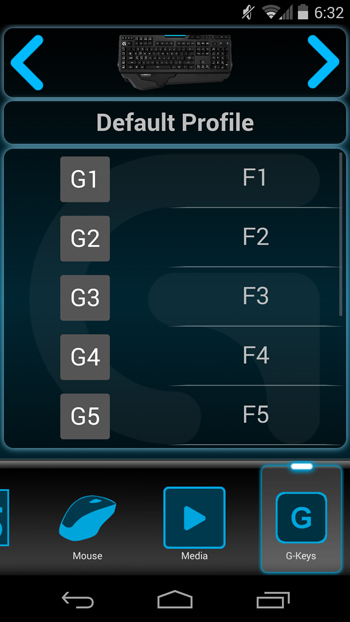 All this display does is show the name given to the keypress or macro.